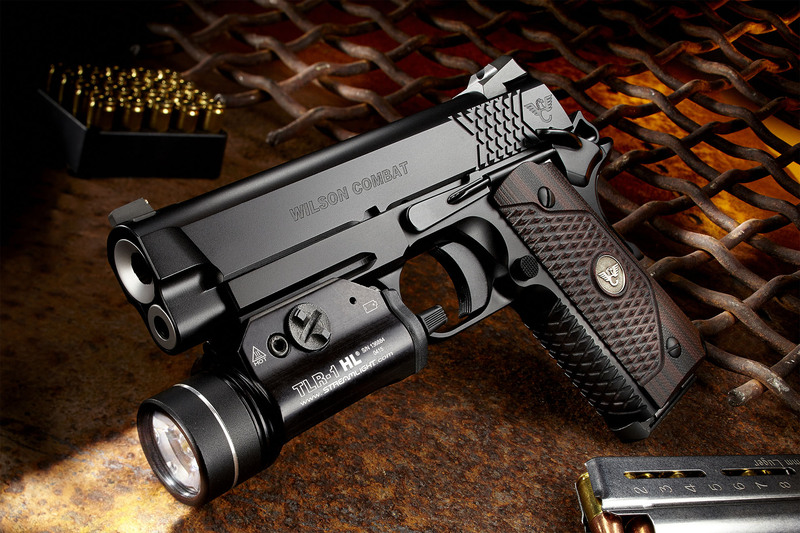 A common question around here is “What custom gun does Bill Wilson carry”? There is no easy answer to that because Bill is always tweaking and developing new gun models. 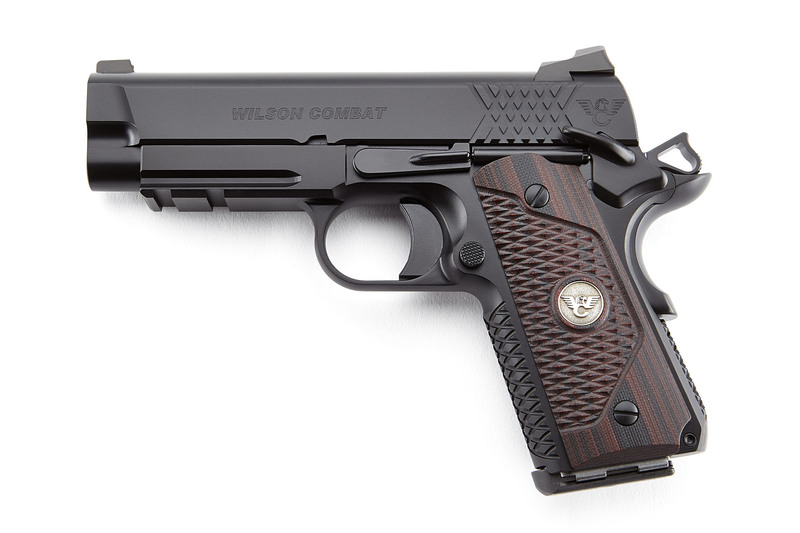 At Wilson Combat the quest for defensive firearm perfection never ends, but we can say that this model is an exact clone of what Bill Wilson carries on most days in the office, around town, or at the ranch. 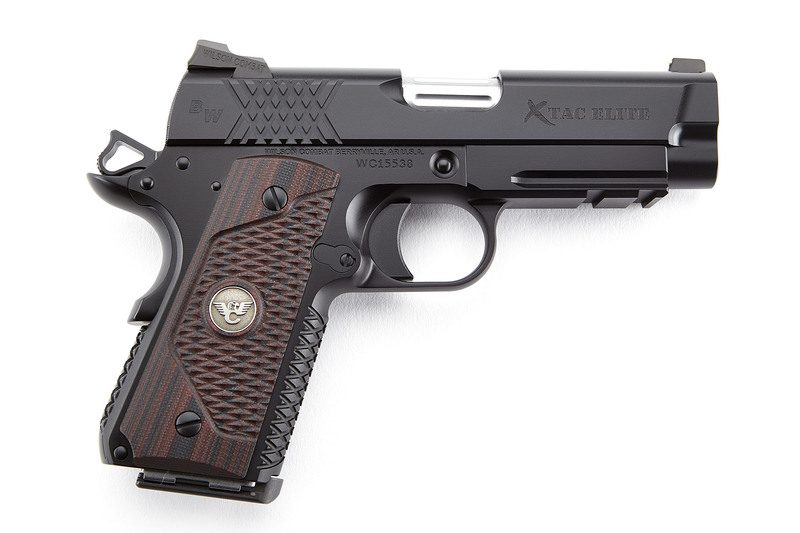 Chambered in .45 ACP or 9mm, the Bill Wilson Carry II is a shooter’s carry gun-easy to hit your target accurately in all conditions and because of its concealable size, easy to carry on a daily basis. Worn in Bill’s preferred Lo-Profile II outside the waistband holster this gun practically disappears under a vest or light shirt. From the compact X-Tac grip frame, to the lightweight integral light rail and gold bead sight-this gun is exactly how Bill currently options his daily carry pistols. The only available options on this model are your choice of Armor Tuff® finish color, front sight, single or ambidextrous safety and an optional magwell. 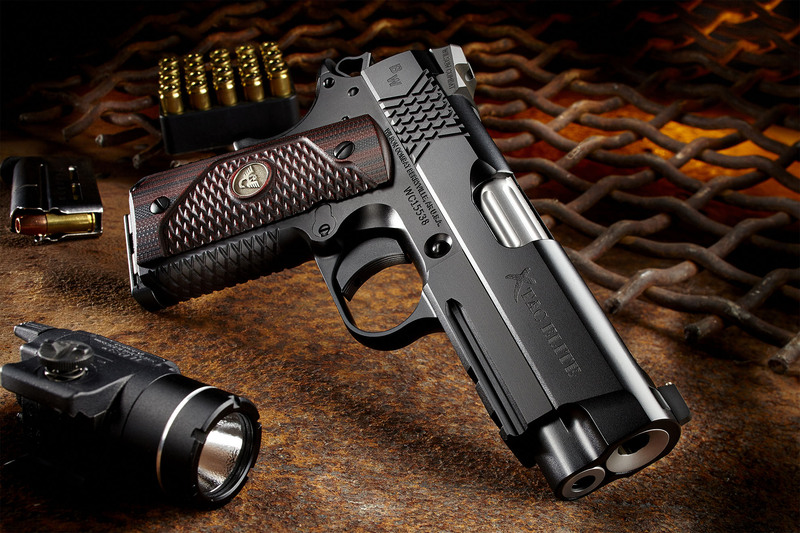 No other custom options are available at the time of order/sale or will be performed after the sale by Wilson Combat.